Chris Martin. 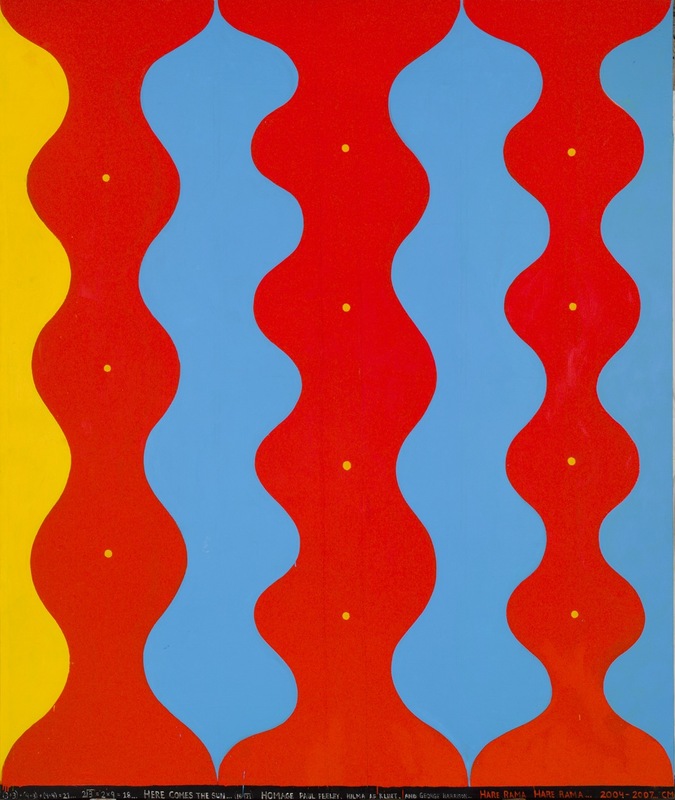 ABOVE: Here Comes the Sun…, 2004–2007. Oil on canvas, 143 x 129 inches. Courtesy of the artist and Mitchell-Innes & Nash, New York. Photo: Jason Mandella. BOTTOM: Staring into the Sun… (4→7→11), 2003. Oil on canvas, three parts, 143 x 129 inches each. Courtesy of the artist and Mitchell-Innes & Nash, New York. It’s easy to see Chris Martin’s interest in outsider art. In fact, it’s often written directly onto his work. A close inspection of the collaged paintings in his monumental installation in the Corcoran Gallery’s atrium yields, among other things, a newspaper clipping noting the death of Purvis Young, arguably the quintessential outsider artist. Other works by Martin, many of them installed in the Corcoran’s rotunda, have textual references to artists who were decidedly insiders but whose works alluded to an outsider’s sensibility — artists like Paul Thek and Alfred Jensen. 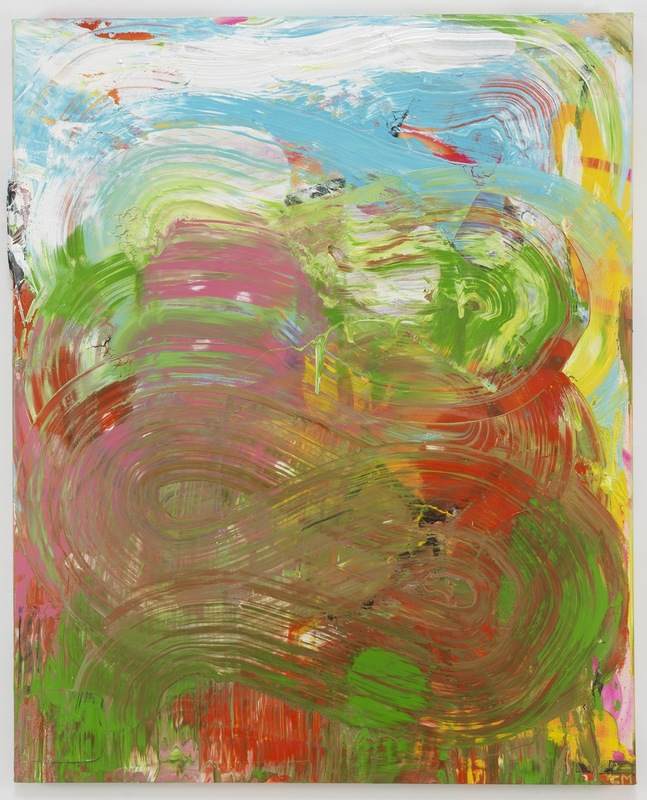 This second category — the insider with an outsider’s sensibility — is particularly relevant to Chris Martin’s work in Painting Big, on view at the Corcoran Gallery in Washington, D.C. through October 23. Martin’s rugged materiality melds concepts of high art with the everyday, making the case for Persian rugs, cardboard boxes, and Wonder Bread as relevant painting media in assemblages that seem off the cuff. He’s partially borrowing from the instinctive process of outsider art, but the execution is that of a sophisticated formalist. 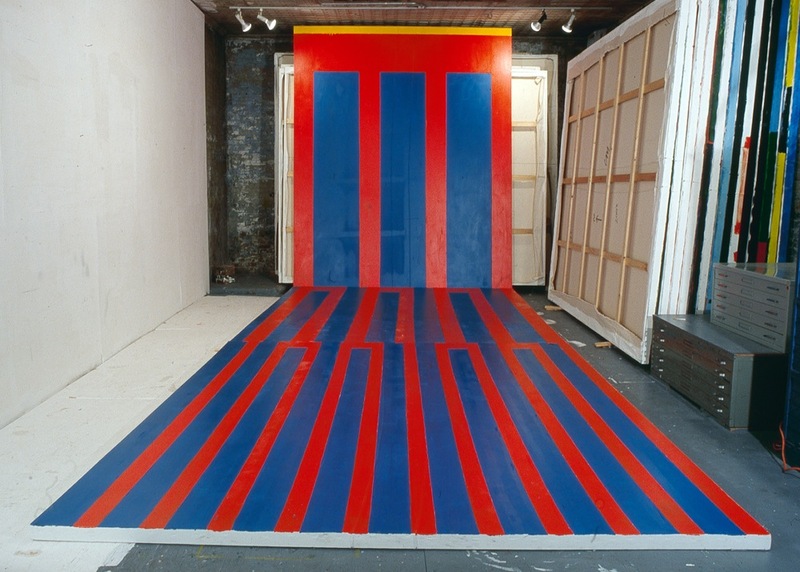 His deft hand at a purer form of abstraction is evident in the Corcoran’s second floor exhibition space. These larger works, most of which were originally exhibited at Sideshow Gallery in 2005, are still rugged — footprints and seams run across the canvases. 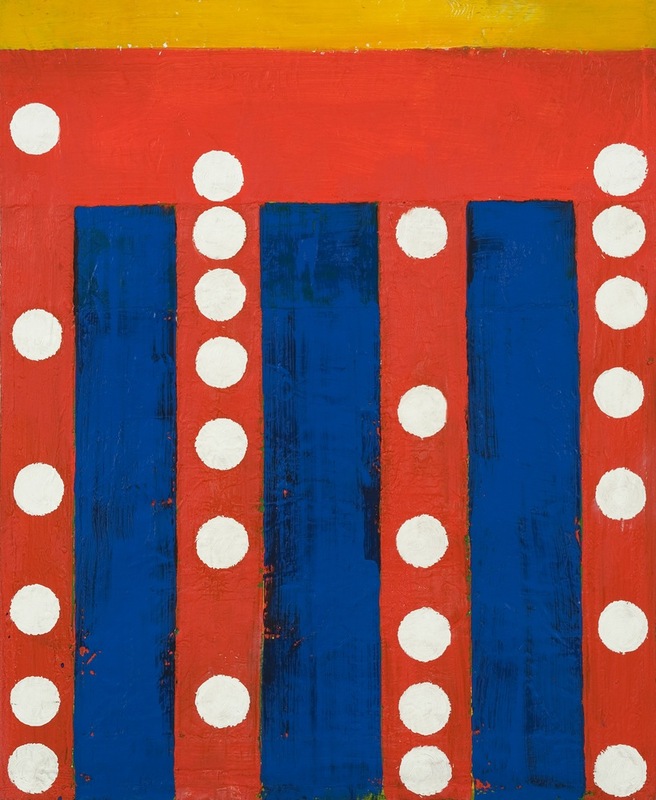 But they’re also elegant and accessible, potentially functioning as an entry point to Martin’s more challenging, materials-based paintings, and serving to illustrate his position as insider looking out. 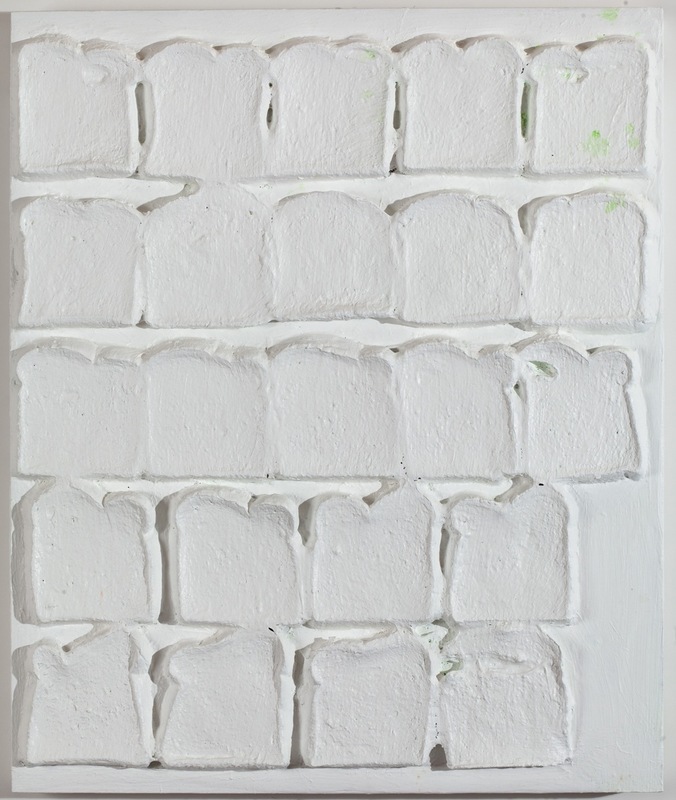 Chris Martin, White Bread, 2010–2011 | Acrylic and polymer medium on bread on wood, 24 x 20 in. Courtesy of the artist and Mitchell-Innes & Nash, New York. Photo: Jason Mandella. Chris Martin, Landscape (Bumps), 2009. Oil, spray-paint, polymer medium, and collage on canvas, 26 x 32 in. Courtesy of the artist and Mitchell-Innes & Nash, New York. Photo: Jason Mandella. Chris Martin, Ganges Sunrise Asi Ghat Varanasi… 2002. Oil on canvas, 129 x 143 inches. Courtesy of the artist and Mitchell-Innes & Nash, New York. Photo: Jason Mandella. Chris Martin, Untitled, 1992–2003. Oil on canvas, 32 ⅛ x 26 1/4 in. Collection of Robert L. Grossman. Courtesy Mitchell-Innes & Nash, New York. Photo: Jason Mandella. 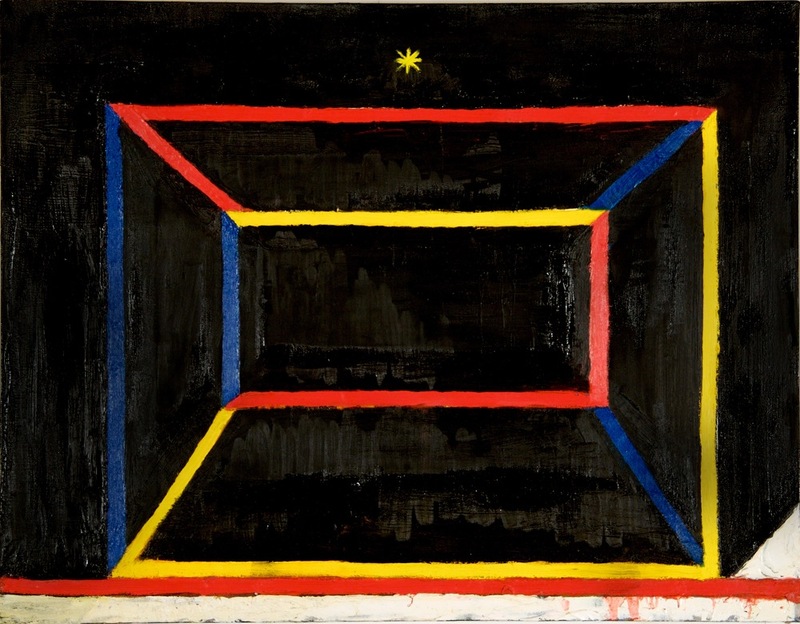 Chris Martin, Empty Frame Painting, 1999–2007. Oil on canvas, 22 x 28 inches. 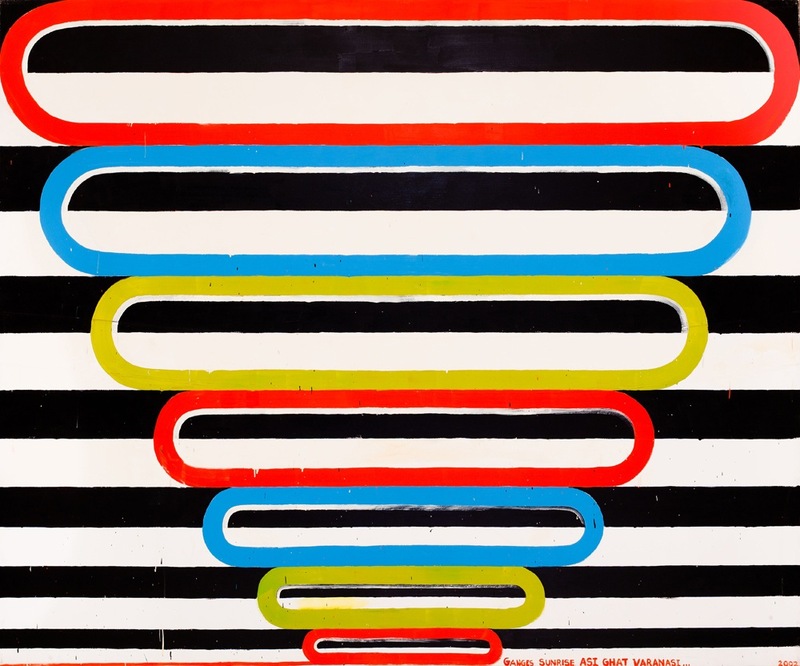 Collection of Christopher Edelman. Courtesy Mitchell-Innes & Nash, New York. Photo: Jason Mandella.